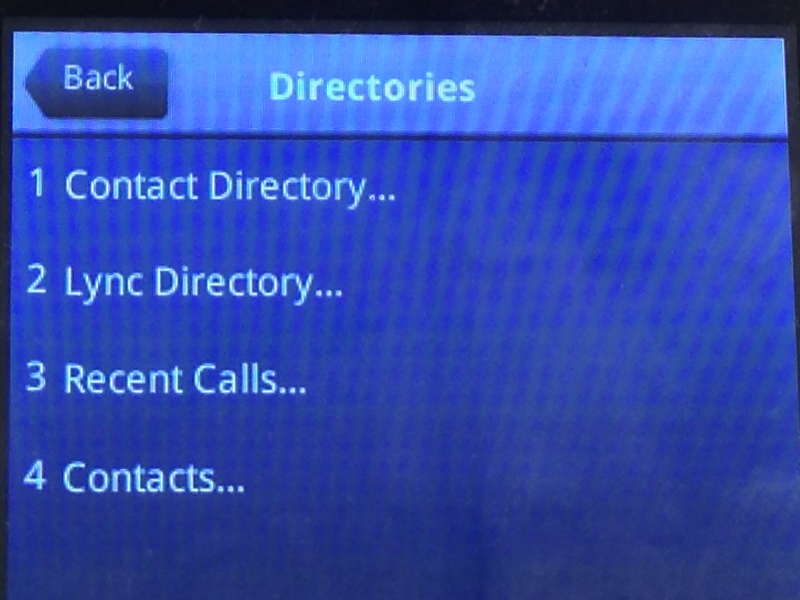 Devices comes up with “Generic” profile other than “Lync” profile. 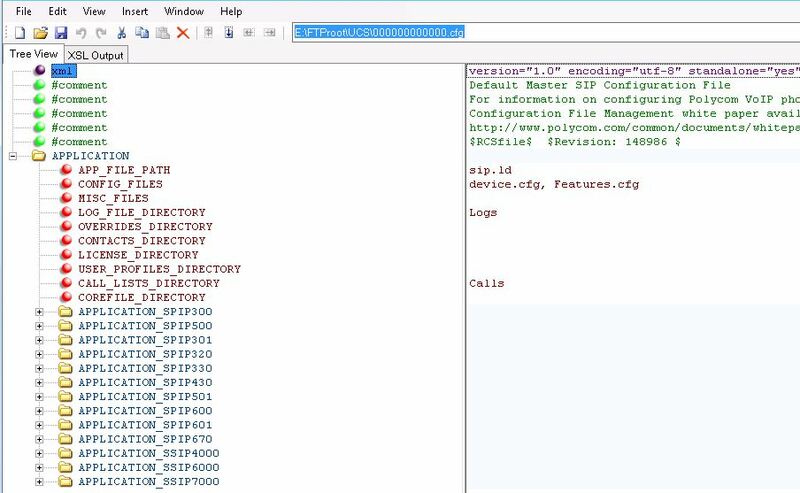 open up the device.cfg file using XML Editor and set the parameters as mentioned in below snapshot. 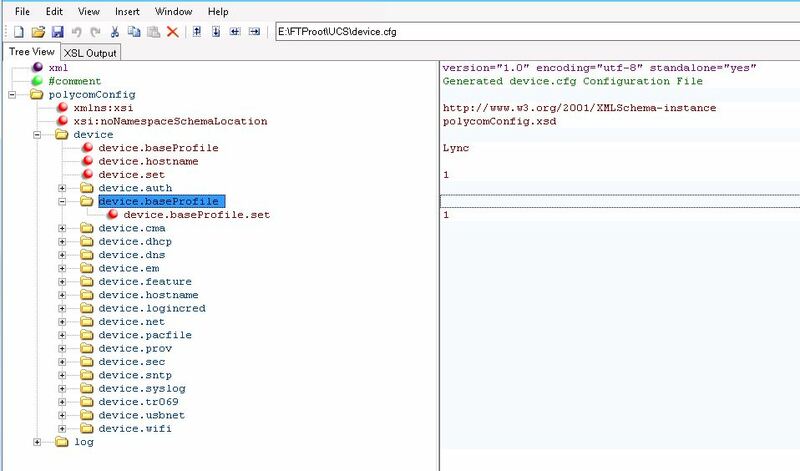 then, open up the 00000000000.cfg file from XML Editor and set the CONFIG_FILES as mentioned in snapshot below. After that, reset the device to factory (so that it will revert the base profile configuration). 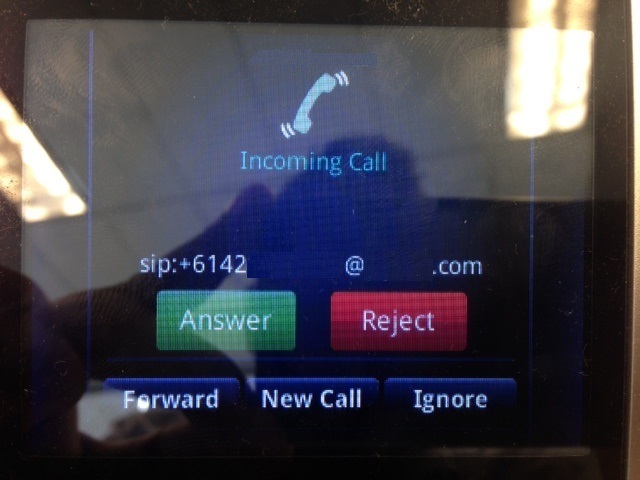 When it boots up, it should come up with the Lync profile and ask to enter the phone number and the PIN. And moving back to the issue #2, Most of the time the end users are willing to put up with this as they can actually see the “Number” showing up on the display and don’t really care that it’s in wired format. But if it’s a migration from a traditional PBX, users will notice this immediately and ask to fix it. And the issue #3, This might not be an “Issue” but a preference for most of the users. 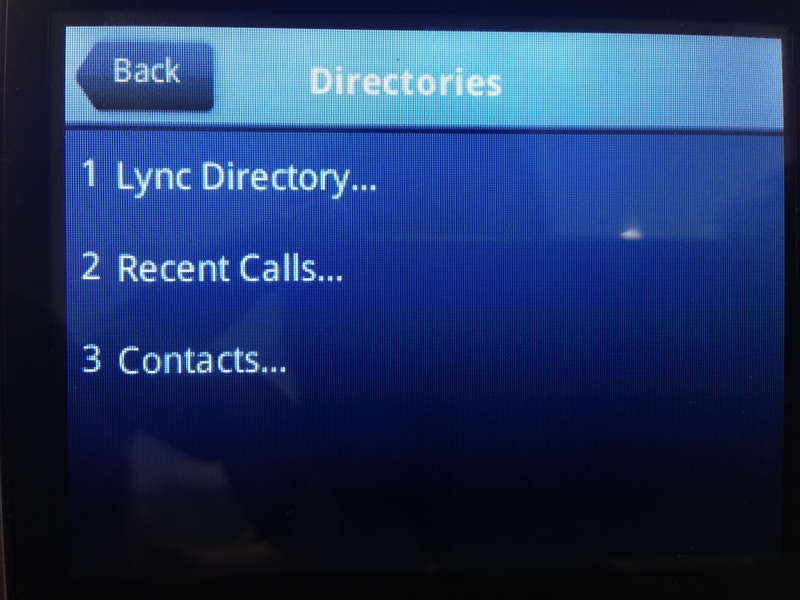 The “Contact Directory” is there so that the end users can specify numbers locally on the device. but in lync, users can have local contacts maintain on Outlook and get Lync to dial out and this makes “Contact Directory” redundant. 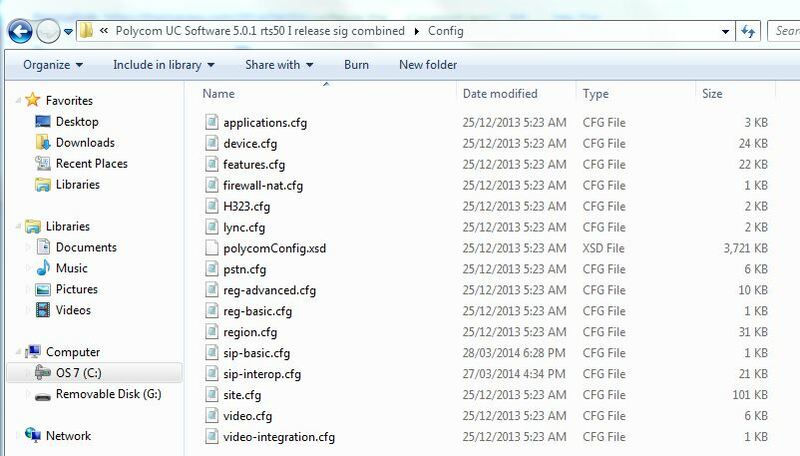 To fix both of this “Issues”, i used the Features.cfg file form the “Config” folder. Open the file with XML Editor and set the parameters as mentioned in below snapshot. Delete the rest of the parameters from the file as they are not in use. 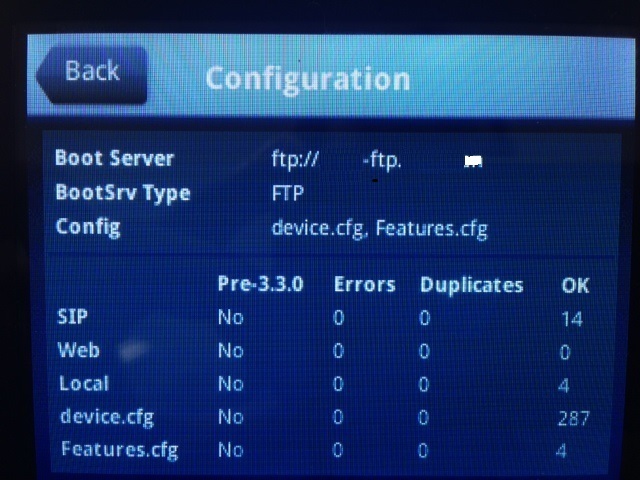 Move the .cfg file in to the FTP root. Open up the Master configuration file (0000000000.cfg) and set the CONFIG_FILES as mentioned below in snapshot. Restart the device and go to the “Menu”. Select Settings>Status>Phone>xxxx and check if the configuration files are populated. 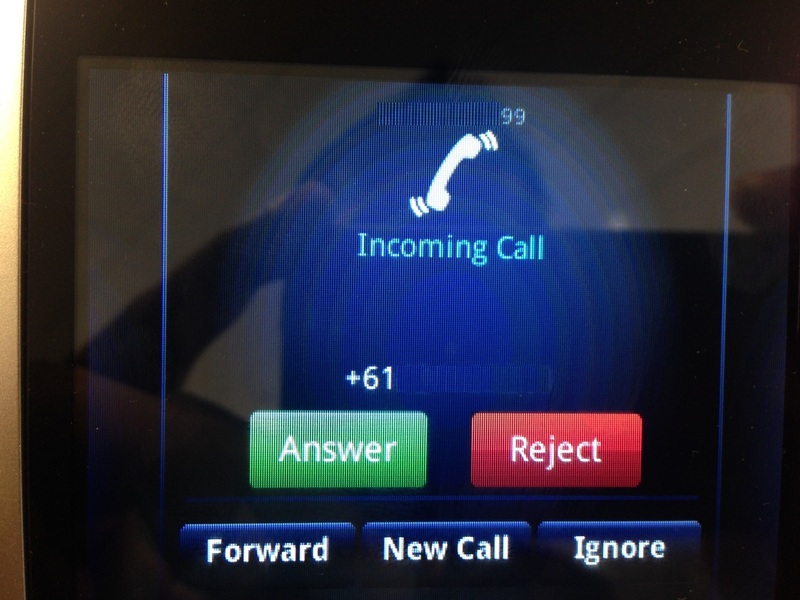 Make several test calls and see if the number presentation shows properly with just the Number and not the URI bits. 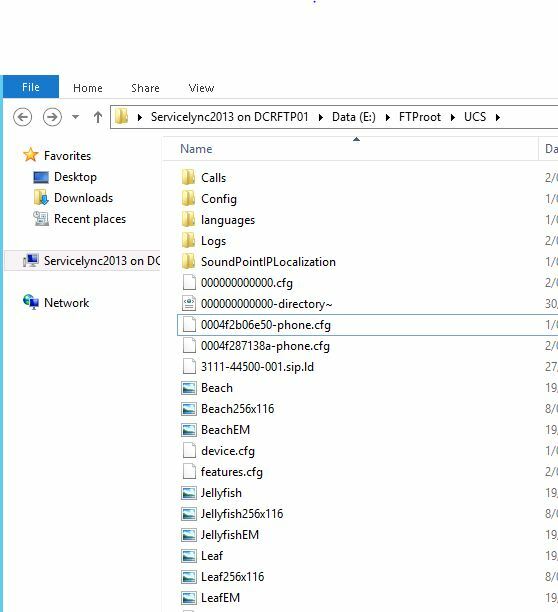 And check the “Directory” and verify that the “Contact Directory” is no longer there and only the “Lync Directory”, “Contacts” and “Recent Calls” are there. That’s about it. Good luck setting up the Provisioning server and post below, if there are any issues. Thanks. A self-starter and quick learner. Versatile skill set with experience in Unified Communications solutions, TDM and IP based voice solutions. Received multiple awards for excellence in customer service. Strong interpersonal skills with certification in related area of expertise.